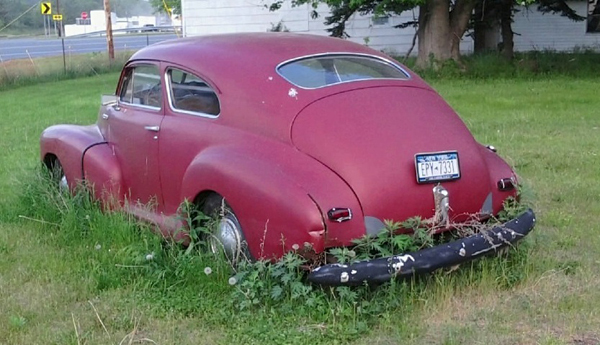 This 1948 Chevy, seen a month or so ago in Fancher (and it looks like it’s been there a while), is a head-scratcher… for me, anyway. All of my sources list the Aero Sedan body style as a Fleetline series-only choice. Yet the trim on this car (or more precisely, lack of trim) seem to indicate the lower-end Stylemaster series. On the other hand, neither of them seem to feature black painted bumpers, Lol… Jim Corbran, RRofWNY Check out our new Facebook page: LuvTheCheapies The post RealRides of WNY appeared first on Buffalo Cars.